It can be a struggle for kids to get the hang of comparing text on the same topic, but with our variety of resources, success is just around the corner. Find the right worksheet, game, workbook, or activity for your student with our library of nonfiction reading help that will help kids sort out the differences between two similar passages. We have topics of all kinds, from animals to life science to biographies. Sharpen your students’ reading and research skills in this lesson that guides them in comparing and contrasting information and drawing conclusions. Students will collect information across several resources including Internet sources. Students will learn about apples and nonfiction writing in this lesson. When they are done comparing and contrasting, there might even be a tasty snack in their future! With this resource, give your students practice comparing and contrasting the most important points and key details presented in two texts on the same topic. 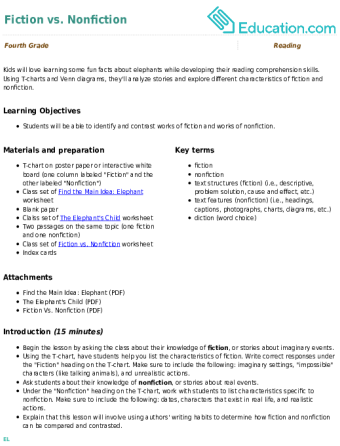 Comparing texts on the same topic is a way to gather more nuanced and layered information on a subject. It can also result in discovering discrepancies between the two and lead to brand new discoveries. 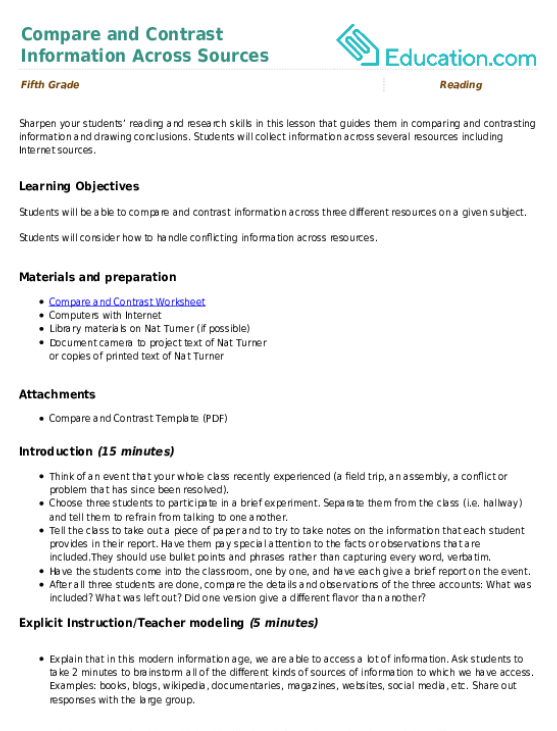 There are printable workbooks and worksheets, as well as lesson plans to teach students how to analyze two different sources. One worksheet for fourth graders, Compare & Contrast Nonfiction Texts: The Underground Railroad, teaches kids how a Venn Diagram can be used as a tool for comparison. 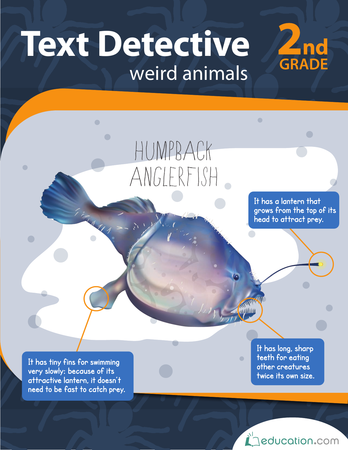 A workbook, Text Detective: Weird Animals, provides miscellaneous worksheets with animal themes that teach students to compare fact versus opinion, make inferences based off images, and explore other features of nonfiction texts. 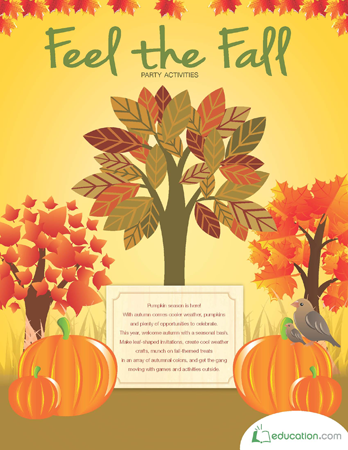 Feel the Fall: Party Activities focuses more on comparison such as comparing first and secondhand accounts. 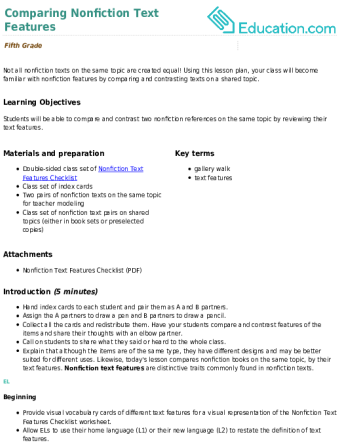 The workbook also considers different writing styles much more. Students can boost their ability to make connections and come up with new ideas with these resources on comparing texts on the same topic.